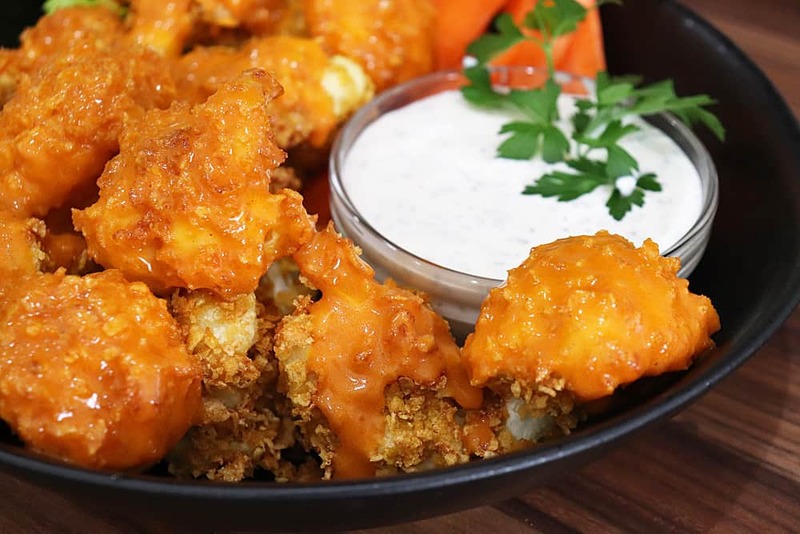 I’ve made versions of this recipe before, but I never really found what I was looking for and that was a CRISPY Vegan Buffalo Cauliflower. I was walking through the grocery aisle one day and picking up panko breadcrumbs. Next to it, CORN FLAKE bread crumbs. A light bulb went off. But those crumbs are very small and I wanted texture, so I picked up a vegan corn flake cereal and went to work on the recipe! I’ve also updated my Homemade Ranch Dip and it’s super flavorful. Honestly, it was an experiment that couldn’t have turned out better. The first step is the cauliflower itself and the florets need to be large. They just produce a better end result that way. 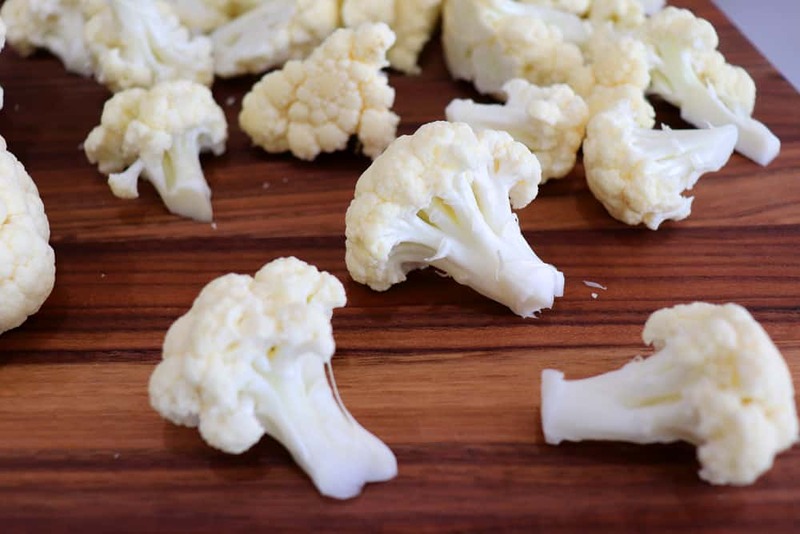 But before we get to the cauliflower, there are a few things we need to prepare. I’ve used ground flax (or chia) mixed with water, almond or if you are vegetarian, you can certainly use an egg wash. But to be honest, they all kind of work the same in this recipe. 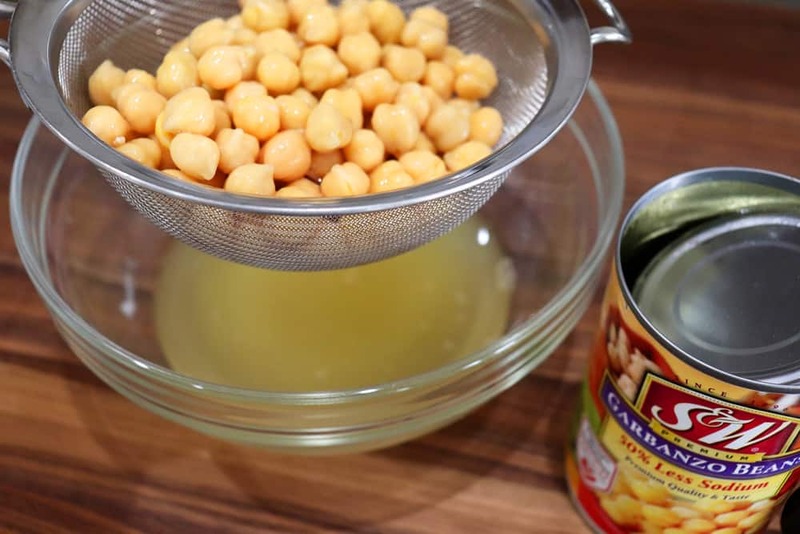 Today I am using the brine (also known as the ever-popular Aquafaba) from a can of chickpeas. 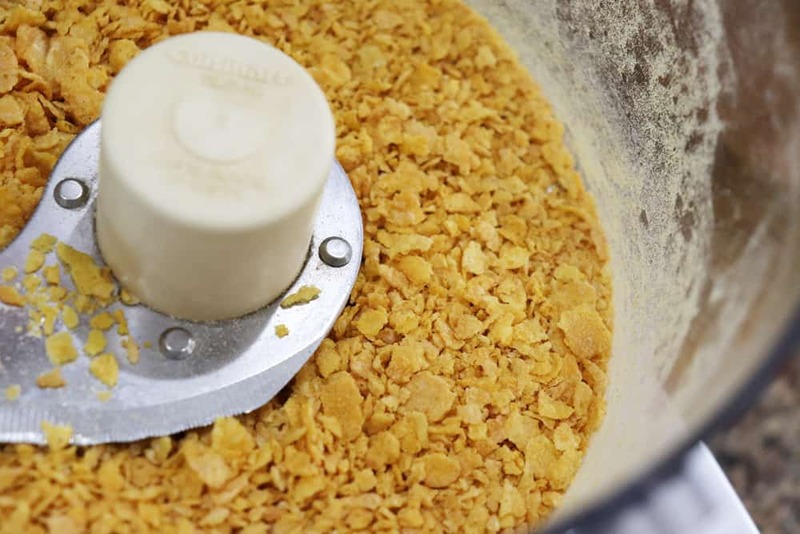 You’ll also need to process the corn flakes into a coarse crumb. It should look like this. I prefer the craggier look and mouthfeel when the pieces are a little bigger. The thing with cornflakes is that you have to work a little harder to get them to coat the cauliflower and that’s okay. The end result is perfect. 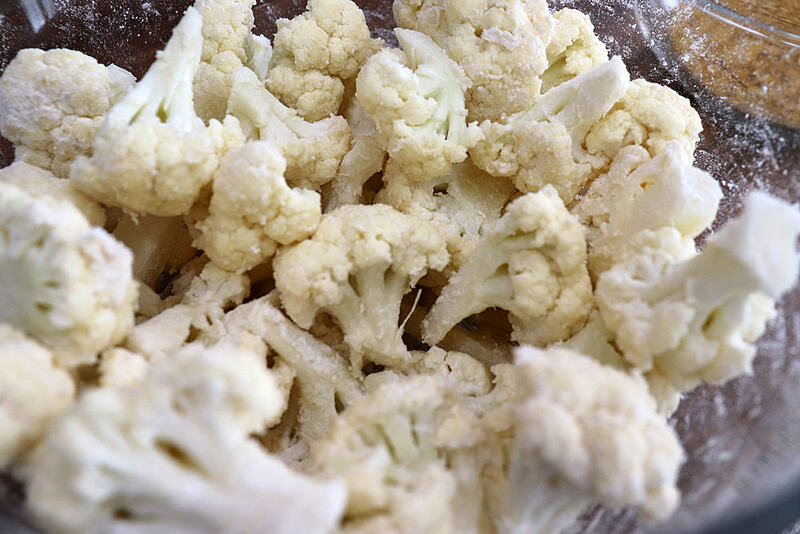 Back to the cauliflower, you’ll want to coat it well in almond milk and drain off the excess. Then, toss it lightly with flour. This is what will allow the Aquafaba (chickpea brine) to stick to the cauliflower. It should look a little something like this. From there, you go into the chickpea brine and immediately into the corn flake crumbs. Do your best to cover the cauliflower and just know that it will not ever get totally covered. This is normal. Place florets on a baking sheet lined with parchment paper and bake at 400 degrees for about 20 minutes or until golden and when pierced with a sharp knife, are tender. Soooo crispy! 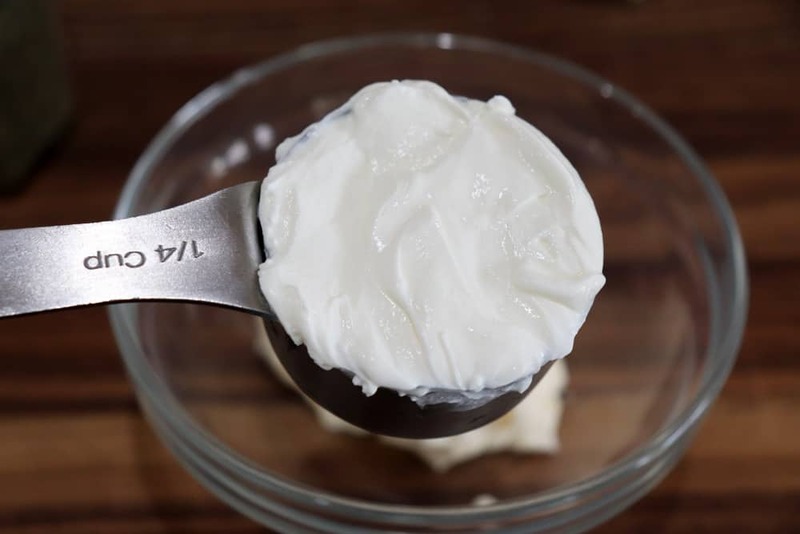 While they are baking, I added vegan mayonnaise to a bowl to begin our ranch dip. To that, add the same amount of vegan sour cream. 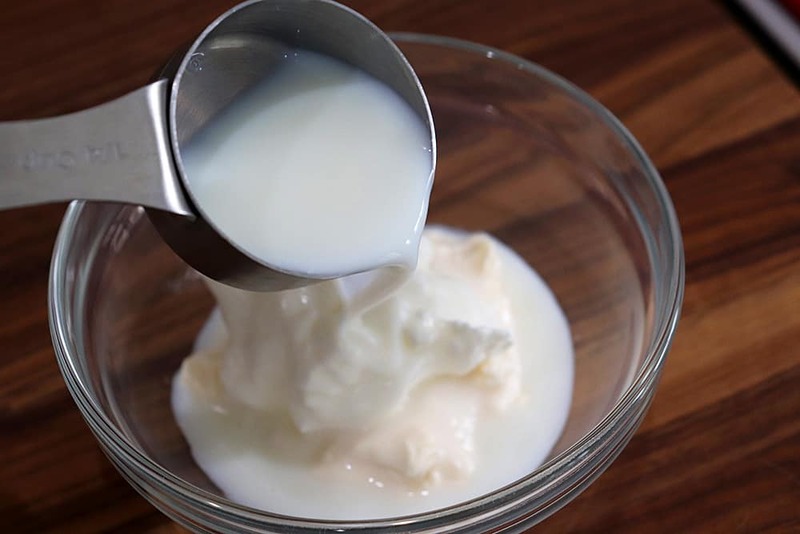 If you can’t find vegan sour cream, I would use canned coconut milk and skip the next step. We’ll need it a little thinner and for that, I use almond milk once again. There are just a few more spices and seasonings here. They are salt, pepper, parsley, garlic powder, dried dill, dried chives (if you have them), a squeeze of lemon and I use grated onion. You could also use onion powder if you prefer. 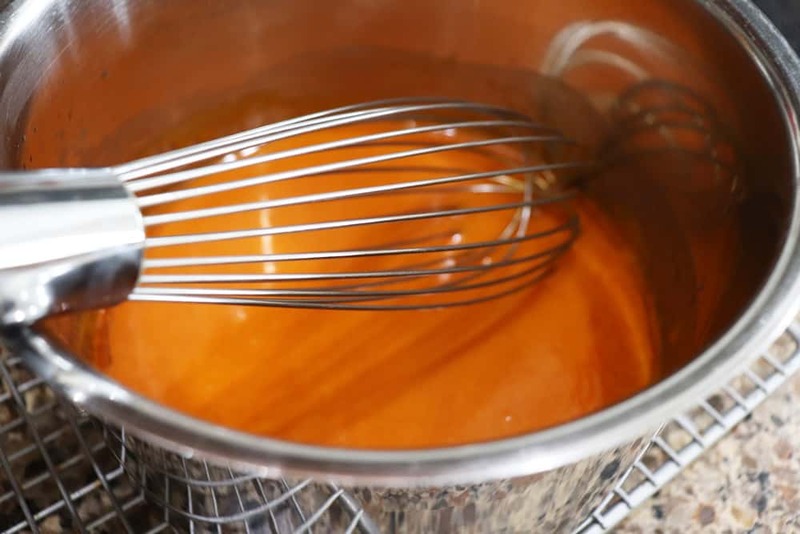 Give it a good whisk and refrigerate for at least 30 minutes. You’ll notice the dip get thicker during this resting process. Okay, we are in the home stretch now. I also whipped up a quick Buffalo sauce which is nothing more than vegan margarine and Frank’s RedHot Buffalo WINGS Sauce. It’s vegan! I recently inquired about Frank’s RedHot Buffalo Wings Sauce because it contains “natural butter type flavor” and other “natural flavors” and was told the following: “In response to your inquiry, the natural butter type flavor is made with natural ingredients derived from sources other than milk and butter. Please be assured that the current formulations of Frank’s® RedHot® Sauces do not contain any animal derivatives or synthesized milk proteins”. There is no need to boil, you are just looking to melt and combine the two ingredients. Quick note, if you heat this for too long, it may thicken on you. 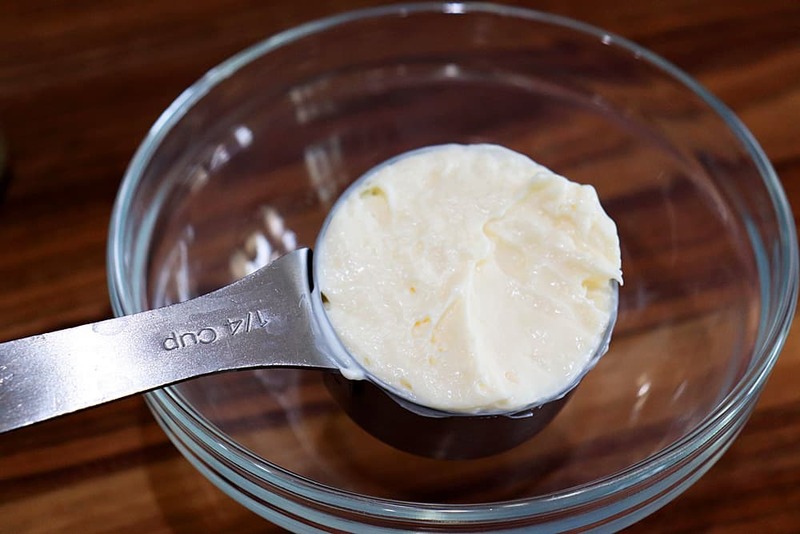 You can simply add another tablespoon (or two) of vegan margarine. From here, you have two options. 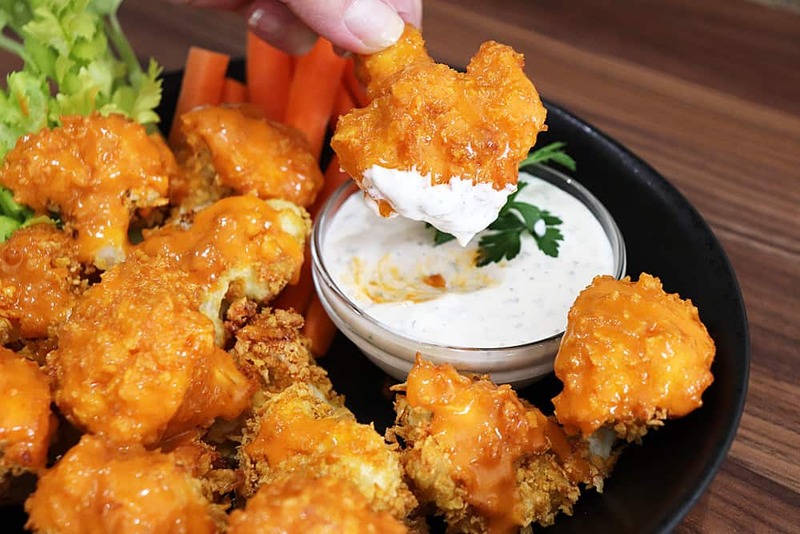 You can coat the entire corn flake cauliflower floret in the Buffalo sauce or just give it a drizzle. I tried it both ways and I really think this is more to taste and your fondness for the spicy sauce. Keep in mind, the ranch dip will help cool things down. If you are averse to the hot sauce, just adjust the ratio to include more margarine and less hot sauce. Start slow and give it a taste. This is YOUR sauce, make it your own. Serve with the chilled vegan ranch dip and the classic accompaniments of carrot and celery sticks. Enjoy! 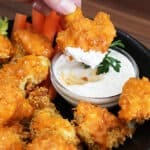 Did you make my Crispy Vegan Buffalo Cauliflower with Homemade Ranch Dip? Leave me a comment below and let me know what you thought. 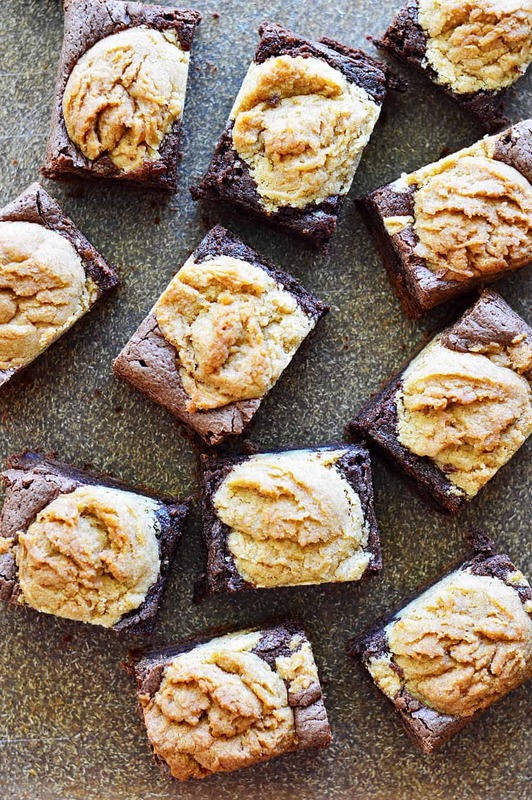 And if you enjoyed the recipe, why not PIN IT FOR LATER! Trim a head of cauliflower into large florets. We used a medium cauliflower and it filled one half sheet pan full of florets. Enough for about 3-4 people served as an appetizer. 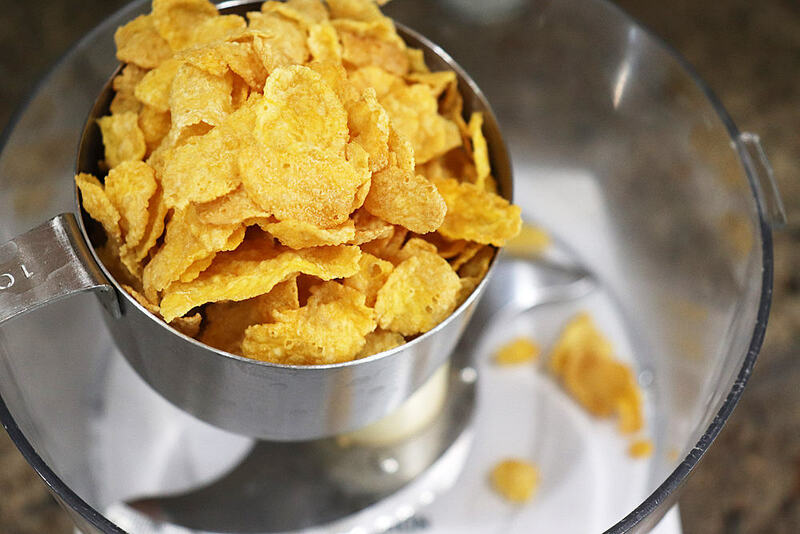 In the bowl of a food processor, add 4 cups of a vegan corn flake style dry cereal and pulse just a few times. Add to a large bowl. 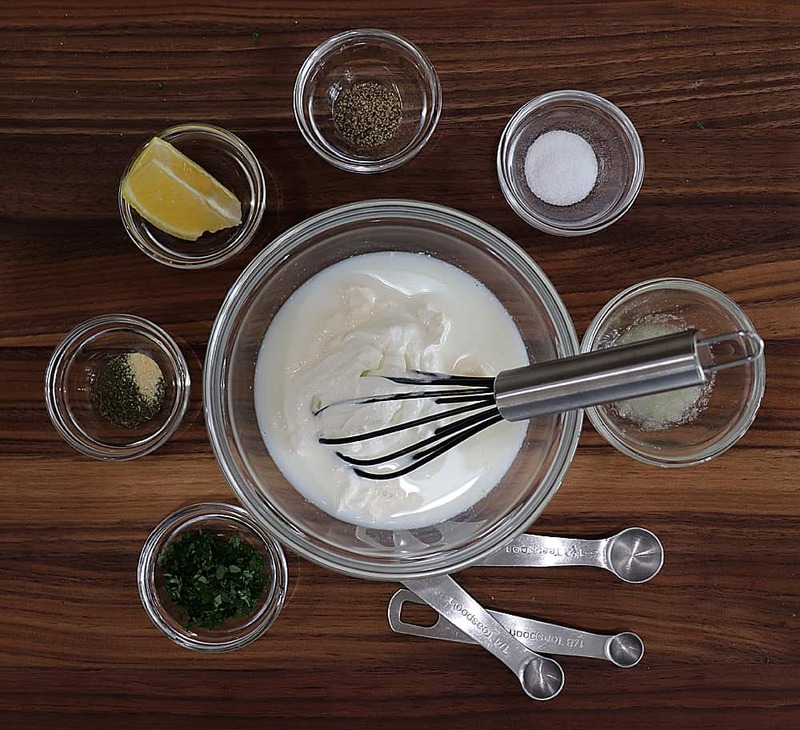 For the vegan ranch dip, simply whisk all of the ingredients together and be sure to refrigerate for at least 30 minutes prior to serving so that it can thicken. 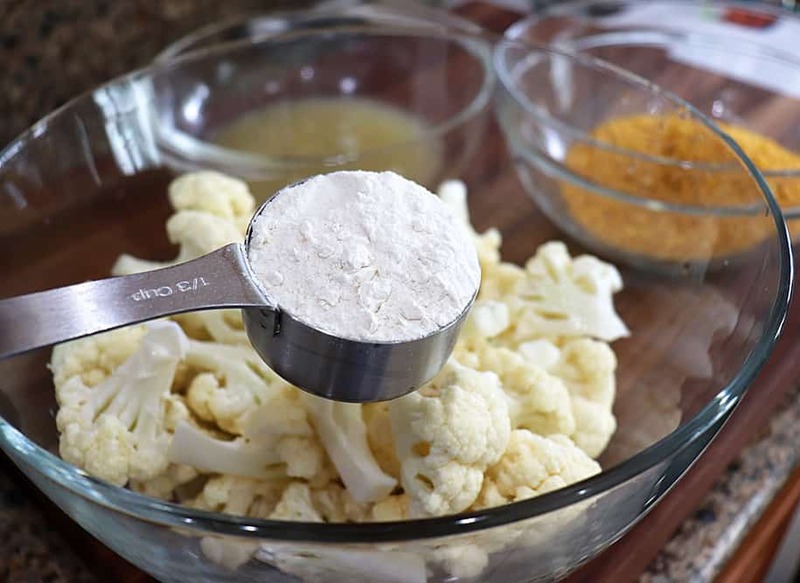 Back to the cauliflower, coat in almond milk (or even water) and lightly coat in all purpose flour. 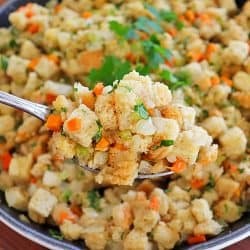 Drain a can of chickpeas and use the brine to coat the cauliflower and immediately go straight into the corn flake crumbs. 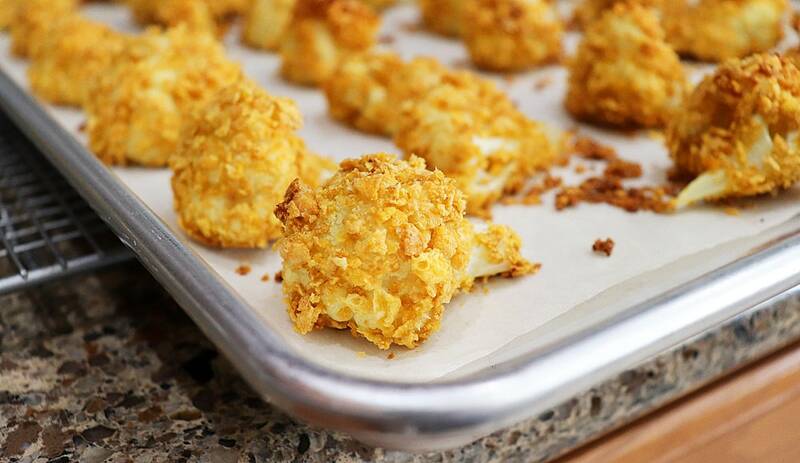 Place coated cauliflower on a parchment lined sheet pan and bake for about 20 minutes or until golden and a knife inserts easily. 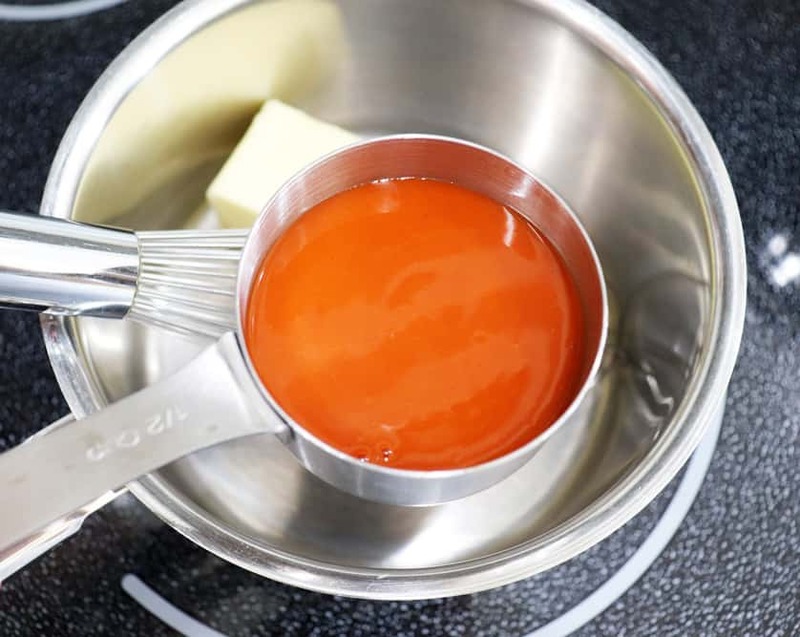 In a small sauce pan, add the vegan margarine and Frank's RedHot BUFFALO WINGS Sauce. Melt and whisk together. Set aside. 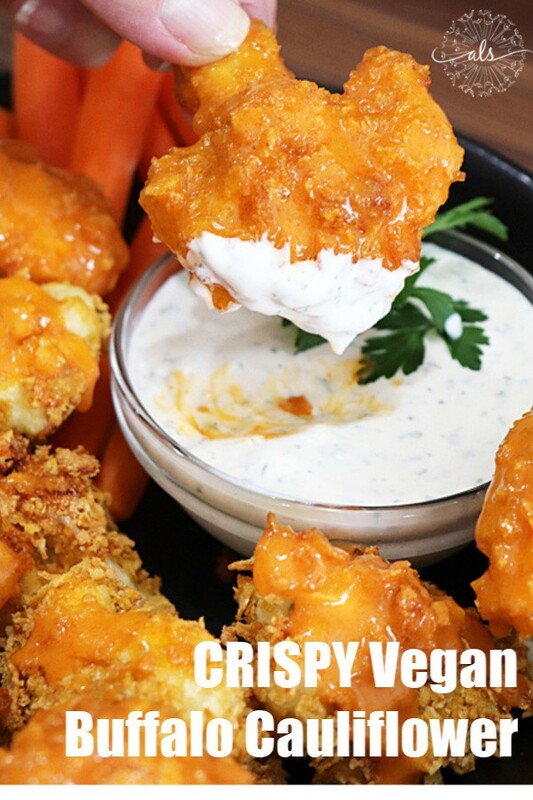 Toss (or drizzle) the sauce over the cauliflower florets and serve with the vegan ranch, carrot and celery sticks.